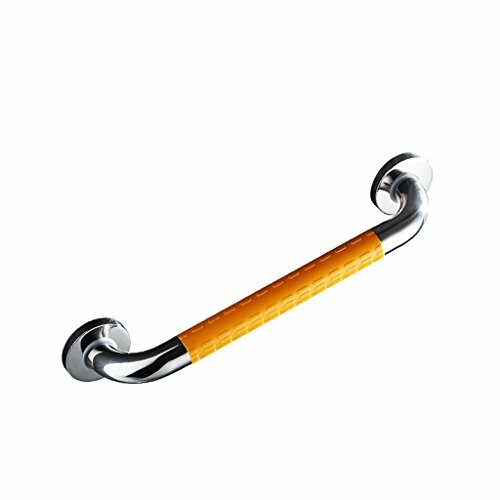 Bathroom handrails 304 stainless steel handrails toilet toilet Disabled elderly bath non - slip bath residue Wei handle ( Color : Yellow , Size : 38CM ) by Bathroom handrail at Walk In Tub Showers. Hurry! Limited time offer. Offer valid only while supplies last. This handle not only protects your safety but also serves as a towel rail. Advanced stainless steel with mildew, durable, hard, deformed features. This handle not only protects your safety but also serves as a towel rail. Advanced stainless steel with mildew, durable, hard, deformed features. And it is ideal for installation in shower room, bathroom, toilet. We only sell bathroom handrails excluding other items, delivery time 7-12 working days. Return is 30 days. If you can not receive your order within 30 days, please contact us. View More In Bathroom Fixture Hardware Parts. If you have any questions about this product by Bathroom handrail, contact us by completing and submitting the form below. If you are looking for a specif part number, please include it with your message.